You worked hard to get preapproved. Now keep your finances in the clear for closing day. Your paperwork is in, your bank has checked your finances, and you’re preapproved for a mortgage. Congratulations! As you get the final details of your home purchase in order, you’ll want to make sure your finances remain stable. Your mortgage lender will check your credit report and other financial factors again before officially approving your loan, and if they spot any big changes in your financial profile, they may increase your interest rate or change other terms of your loan application. Here are some activities you want to avoid or postpone while your home loan is being processed. It can be tempting to go out and buy furniture, tools, garden equipment, and more for your soon-to-be home. However, you’re better off waiting and making big purchases after your mortgage closes. Why? If you put big-ticket items on your credit card or apply for store credit, you could change your overall debt-to-income ratio. This is a statistic your lender reviews again before giving the final approval on your loan. If you instead use cash to buy expensive items, you could deplete your cash reserves. Your lender likely requires proof that you have a certain amount of cash available for your down payment, closing costs, and ongoing mortgage payments. An easy fix is to just hold off on major purchases until after you close — like a housewarming gift to yourself. This isn’t a good time to open a new credit card or take out a car loan. 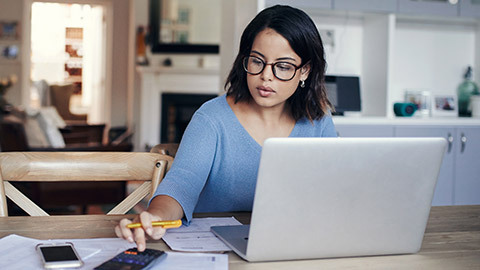 All new debt affects your overall financial picture, and if your mortgage lender sees that you’ve taken on more debt after your loan was preapproved, it could impact your final loan interest rate or chance of being approved for a mortgage. Be careful about depositing large amounts of money into your bank or investment accounts before your closing day. If you must do so, be sure you can provide clear explanations and a paper trail showing where the money originated. Otherwise, your mortgage underwriter (the person/team who reviews and approves your loan) may wonder if you’ve received an unofficial loan from a friend or family member that you’ll eventually need to repay. Making large withdrawals from your bank and investment accounts after preapproval can also raise red flags. Your mortgage lender will want to be sure you can maintain sufficient cash reserves to handle your mortgage and other important expenses. If you’re late or miss a payment on anything from a credit card to your car payment, you could negatively impact your credit rating. If your credit score goes down before your loan closes, your lender will see that. Consider using your bank’s automatic and online bill pay options to make sure you pay your bills on time. If you have an opportunity to change jobs, try to make the change after your mortgage is fully approved. If you move to a new job before then, your mortgage lender will again need to verify your employment. You’ll also need to provide at least two paystubs from your new company. Some types of mortgages, such as Federal Housing Administration (FHA) loans, even require you to show two continuous years of employment with no gaps. And, if you switch to a new job and take a significant pay cut, there’s a chance the lender could deny your loan. Why? Lenders need proof that your salary/employment is stable and that you’ll be able to make your mortgage payments. If you have questions about any of these tips, talk to a home mortgage consultant. 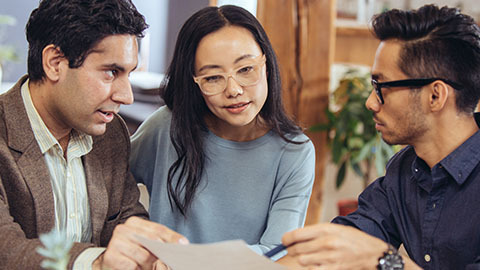 They may be able to help you pinpoint any financial factors that could affect your mortgage approval and suggest some alternatives. Let sellers know you’re a serious buyer by getting preapproved for a mortgage. Debt repayment: What should you pay off first? Key info to help you understand different types of debt and how to prioritize paying it off.